MOVE! was born from our ongoing relationship with EnBlue Technologies in Germany. 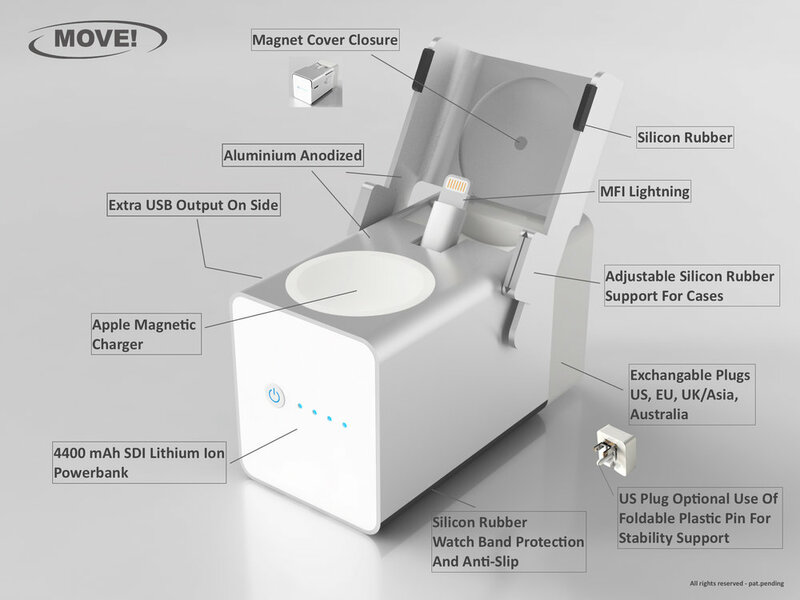 We worked closely with the Owner and Chief Innovator, Michael Schoening, to develop a solution for on-the-go power. MOVE! 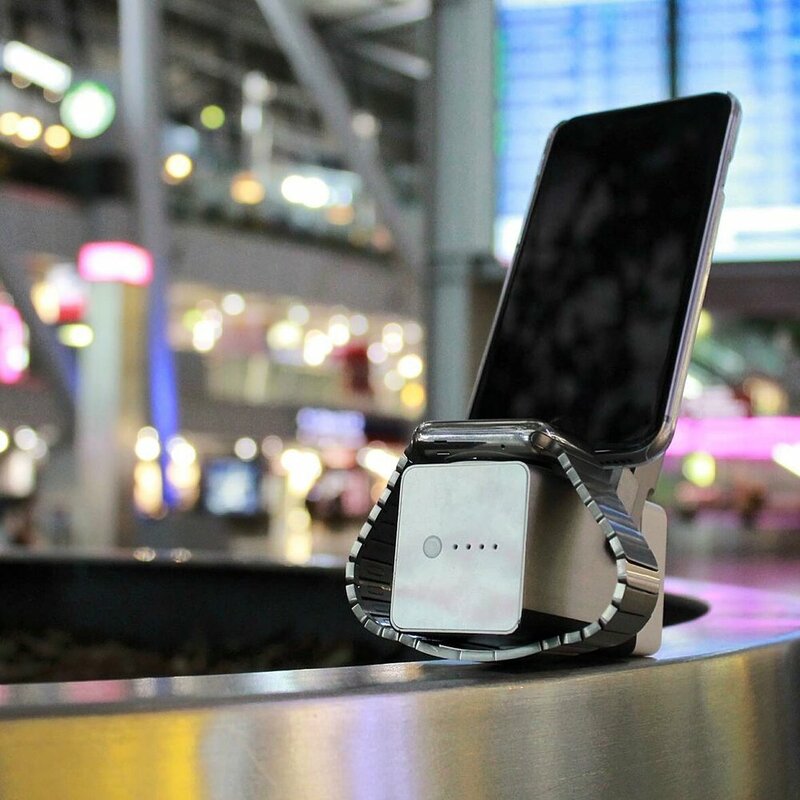 is a product that allows Apple users to store, charge and display their Apple iPhone and Apple Watch while traveling. The World is in constant motion and with MOVE! we can keep up with how fast we all are moving with it. MOVE! incorporates a Apple charging puck for Apple Watch and a lighting connector for iPhone. The modular electrical connection in the back of the product allows for replacement or exchange of multiple plug types with folding prongs. The Aluminum housing matches the Apple aesthetic and the internal Samsung batteries, means you always have a quick and reliable charge for Apple products.